Nearly 9,000 sf custom home in one of the most desirable locations in the world. Elegant open concept floor plan with dramatic great room and massive stone fireplaces that lend warmth and elegance for family and friend gatherings. 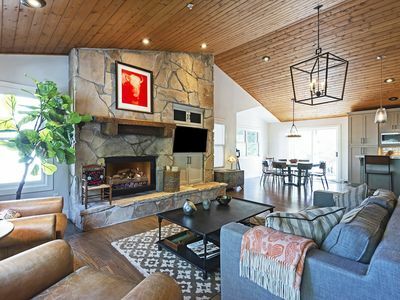 Timber-beamed vaulted ceilings, home theater, fitness gym, true ski prep room, seven fireplaces, six bedrooms, an office, upstairs loft, two family rooms, wine room, and eight bathrooms. 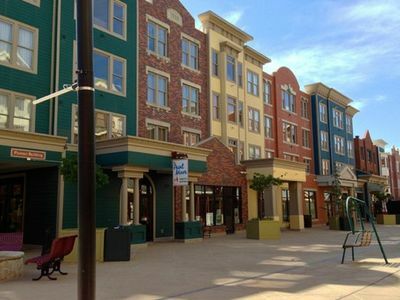 Perfectly located in a private and exclusive setting which allows for easy access to all that Park City has to offer. 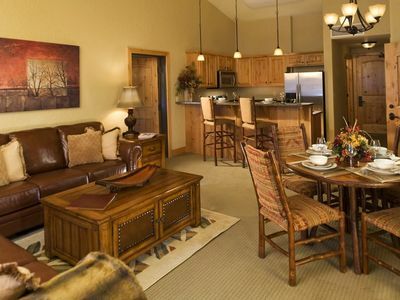 Easy ski access to Park City Canyons Resort and a short walk to the Sunrise ski run. One of the rare single family neighborhoods located inside the ski resort. Personal shuttle service to resort also available as home is a part of the Canyons RVMA (Resort Village Management Association). 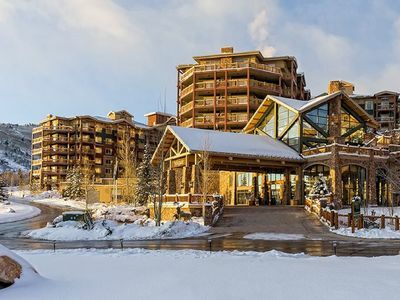 Using the Canyons Village Connect app, simply request to be picked up from the house, and dropped off at any Canyons Village lift location. It is a free service, door to door – to skiing and then back home. 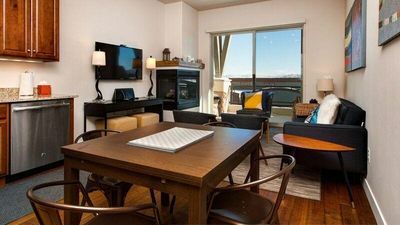 Easy access to shopping, restaurants, entertainment - neighborhood is conveniently located for quick in and out to Kimball Junction or Main Street. There is easy access to skiing - walk to Sunrise lift or shuttle to Red Pine Gondola. No driving required. 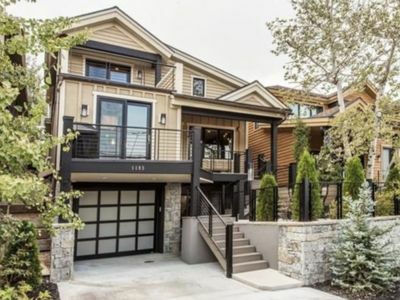 It is a peaceful mountain setting - aspen and pine trees, river nearby, beautiful trails to enjoy from front door. 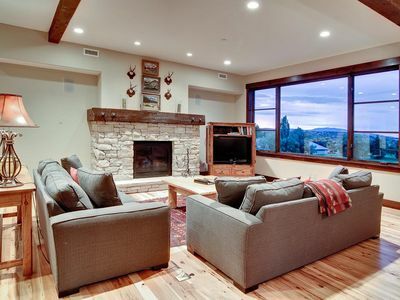 Warm earth tone colors throughout, flooring is durable and ideal for entertaining (ski boot friendly). 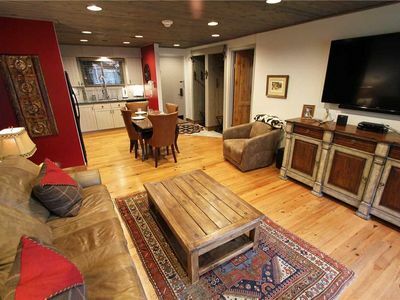 Large family room for hosting many people. 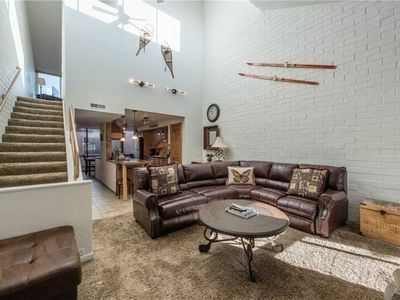 Open floor plan, monstrous ceilings. Two powder rooms for guests on main floor. 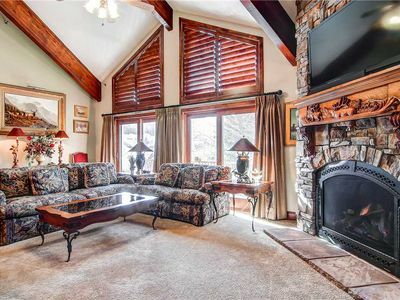 Warm and cozy home - with seven fireplaces throughout. 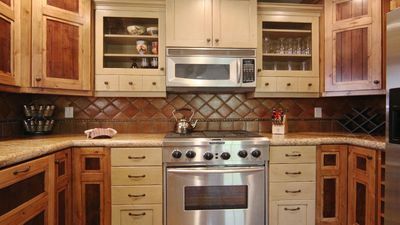 Large, oversized cabinetry in kitchen and bathrooms that fit everything and more. Spacious bathrooms for every bedroom. 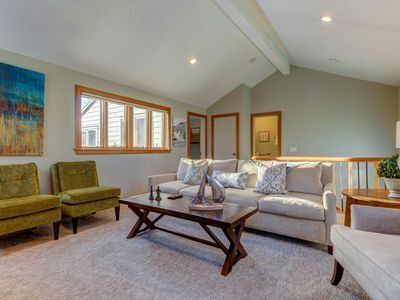 Expansive master bedroom and bathroom with vaulted ceilings, large sitting area with fireplace, sliding glass door to patio deck, walk-in closets with plenty of shelves, and windows throughout closet, bathroom, bedroom letting in much natural light. Wolf and Sub-Zero appliances, kitchen island with separate veggie sink. Well placed televisions in kitchen, master, family room basement and theater room. One convenient office located near kitchen, with french door to outside. Great loft area for reading, enjoying fireplace and views. Ski prep room with fireplace and bench for putting on/taking off boots, next to a bathroom and a separate entry/exit to outdoors. Plenty of large closets throughout the house for winter wear and ski gear. Three laundry rooms - one on each floor. Plenty of privacy for all guests - very well laid out floor plan. 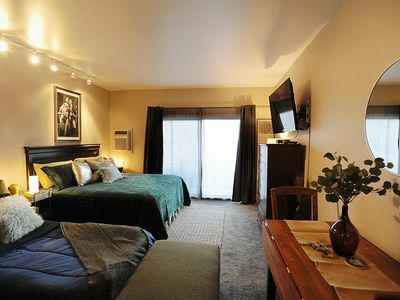 Large expansive bedrooms. Bonus room (kids toy room) upstairs with elongated closet having doors on each end. Never a shortage for space. 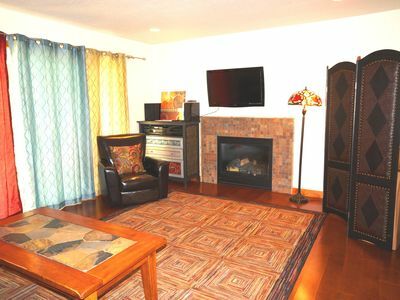 Large basement family room for sectional. Basement also provides a great deal of light with two sliding doors to outside patio. Kitchenette in basement with sink and refrigerator. Wonderful theater room and comfortable seating arrangement. Separate gym with weight bench. Finished wine room. Three car garage. Radiant heating keeps all floors warm in the winter, and the driveway and walkways clear from ice and snow. 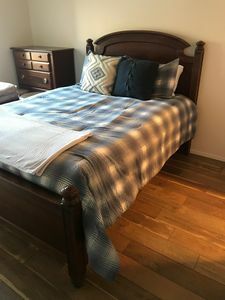 Three queen air mattresses and toddler pack-n-play available in addition to six bedrooms with 7 beds (2 kings, 3 queens, 2 twins). With 8,680 sf of space and huge oversized bedrooms and family rooms, many options exist for additional guests. 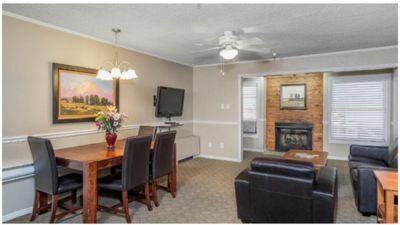 This is a family-oriented home - with a theater room, charcoal grill for barbecues on the deck, parents can enjoy the exercise room right onsite for a work-out, and kids are entertained with movies (including 4 DIRECTVs) and a large kids' playroom full of toys. Updated 4 Bdrm/4 Bath - Easy walk to ski lift! 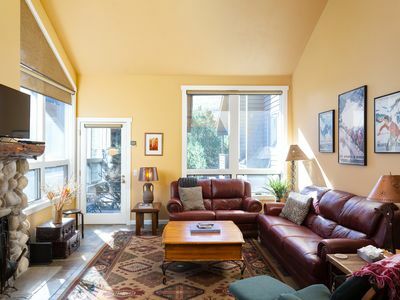 Townhouse w/ shared seasonal pool, and tennis, walk to ski lifts! 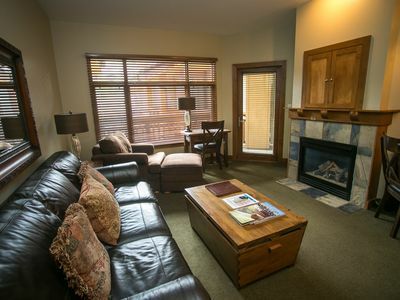 Beautiful 2 Bedroom Suite at Lodge with Pool & Hot Tub! 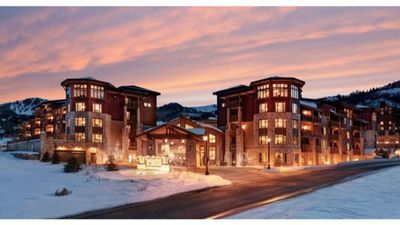 Nice resort at bottom of World Class Ski Resort during prime ski week.